Dit onderwerp bevat 8 reacties, heeft 2 stemmen, en is het laatst gewijzigd door forex-TL 2 jaren, 12 maanden geleden. The way that I use is quite simple and very easy. Everyone will be able to use it. Okay without wasting any more time. I will explain how to use this technique immediately..
One more example. See his arrow ..
On the green line that I created showed that the price is moving away and approached the line. 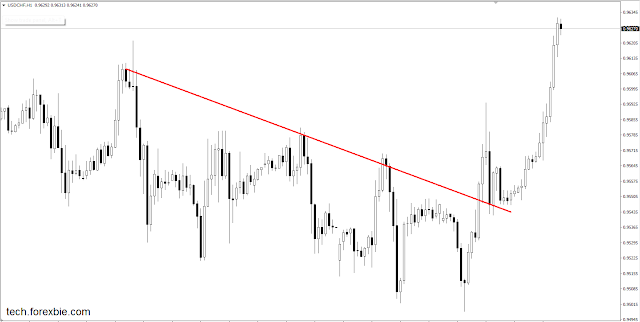 Images above is one example of how to create a trend line correctly in forex trading. Okay. I think is already finished the first lesson. This time I will follow-up on the second discussion. I will discuss about the reference or benchmark making lines SNR and TL. If we do not know the reference / main benchmark SNR how to create a line that will make us confused to determine the appropriate SNR. So the conclusion is: we create a benchmark or reference SNR lines are the points that have been formed by the price on the previous day. The points in the mean is a low point, high point and wave in the form of price. 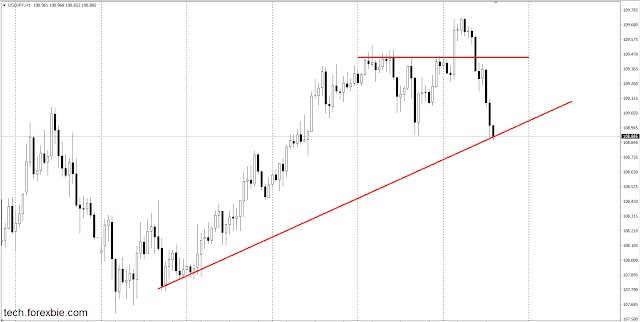 Breakout is a price that has managed to cut the line SNR or TL that we created earlier. when we had already made a line SNR or TL. We observe it if the price managed to breakout the line or not. Candlestick best current breakout line SNR and TL is a big candlestick (length). Great Candlestick describe their great strength in it. The great strength of this highly influential on subsequent price movement. Usually when there is a large candlestick membreakout SNR or TL prices will still continue its trend. Retrace can be represented by 1 or 2 pieces candlestick after a breakout like the picture above. Okay now look at the picture below carefully .. !! 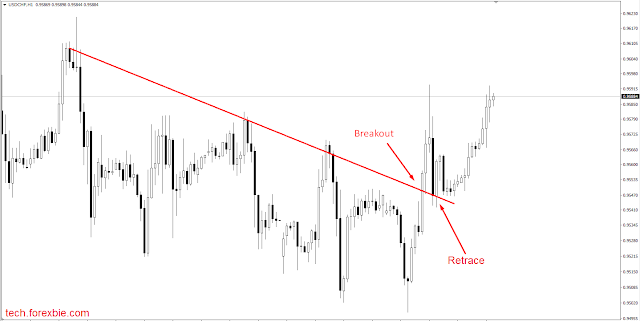 See the words “breakout” that I give a red box and see the purple colored arrows in the picture above. candlestick best when the price breakout is like that on the show in the purple arrows. 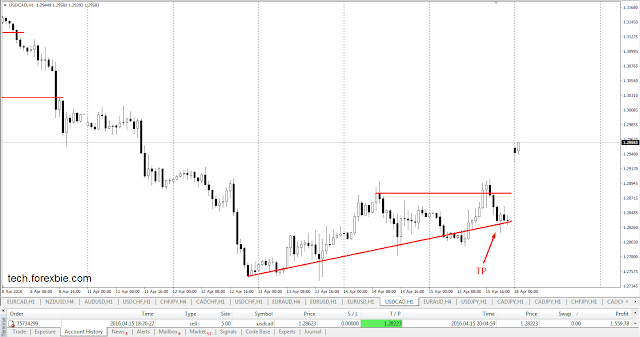 After the breakout, Price will not go straight down, but price will be approaching the SNR in the breakout. Here you can look directly at the green colored arrows and labeled retrace. 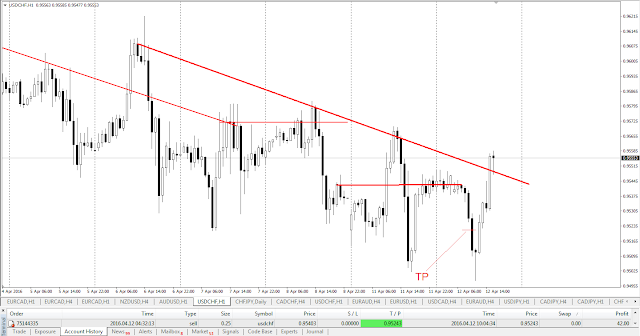 Look after the retrace, price trend continued .. 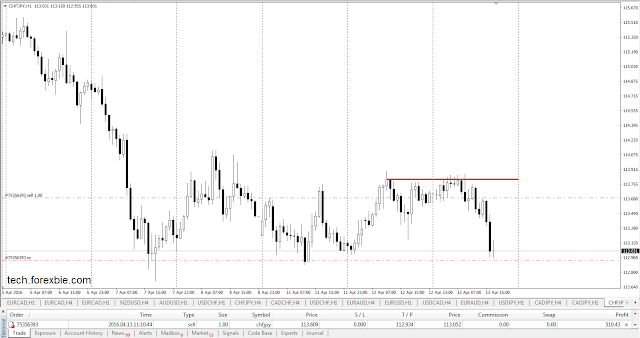 The first price breakout SNR that I have made before. and the price looks retracement above SNR. But after several hours passed back price breakout SNR and play under SNR. Well this condition in the call invalid breakout. Next, after the price of playing under SNR, the price continues to fall until the breakout in SNR in the middle of the line. You can see the green colored arrows. 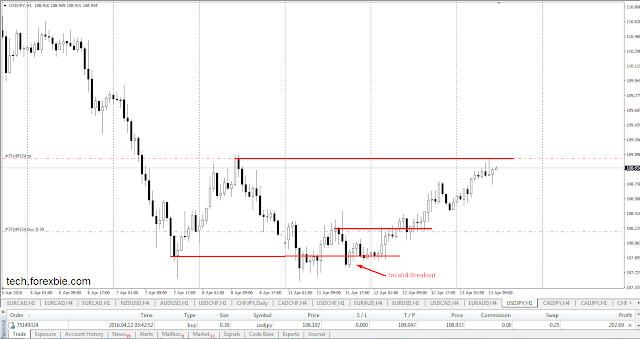 Price here breakout and retracement. After the price retrace back to continue the trend as far as the SNR (support) at the bottom. How do I open position? Well the most eagerly awaited of the first one is how we open position or entry. Yes of course we will learn how OP is correct according to the rules of this analysis. Actually, if we understand all of the above material carefully, then we already know where the open position. Roughly there anything you already know where your open positions were most fit right? 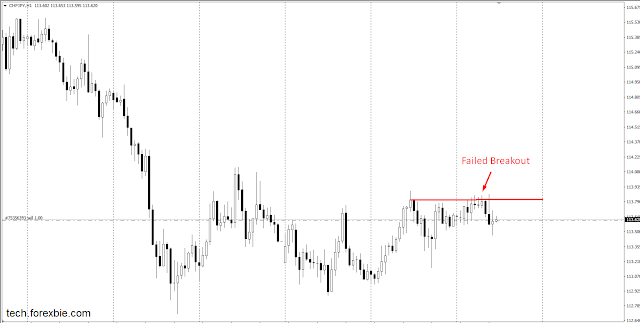 The right Open position is after the price retrace close to the line that is in the breakout. In the picture above, price is already breakout and price retrace. 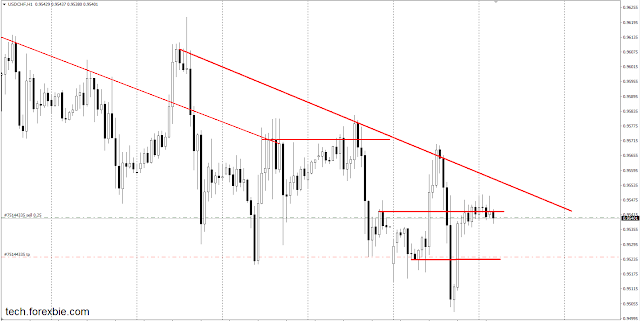 And after retrace, price UP tried to move back to continue the trend. Then take a buy position there .. Okay please see and understand the images above .. Okay, now I give examples of the use and live trading .. In the picture above, first we must make line SNR. There are 3 pieces of line SNR in the image. Ie on high, wave and low the previous day. Then we see where the current price. Price is currently at the top SNR or breakout highest SNR days ago. Now we wait for price to retrace toward the SNR lines in some future time … if price retrace after that try to move up, it is likely the price will stir bullish, and vice versa.. 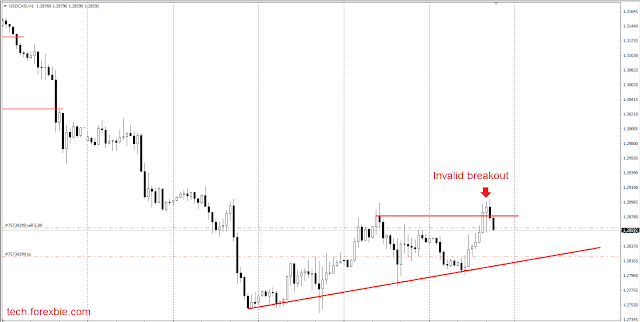 Okay we OP (Entry) SELL on the line above the gray color. and wait in the next few hours ..
see now? Price down long until the bottom of the SNR .. You’ve got a big profit today .. !! a bit spammy this huh? also with you free download link. an official warning hereby, any more posts of this kind and we will have to ban you im afraid. Iim sorry admin, i just use the signature facility in this forum. and im Not spam here 🙂 – i just wanna sharing about my strategy forex trading. look the chart below, we can see price is already break-up line SNR. but within a few hours later, the price breakout down the line SNR. means the price is overbought. I try entry Sell in this pair. Okay, up here first .. please leave a reply here so that this thread is not deserted ..